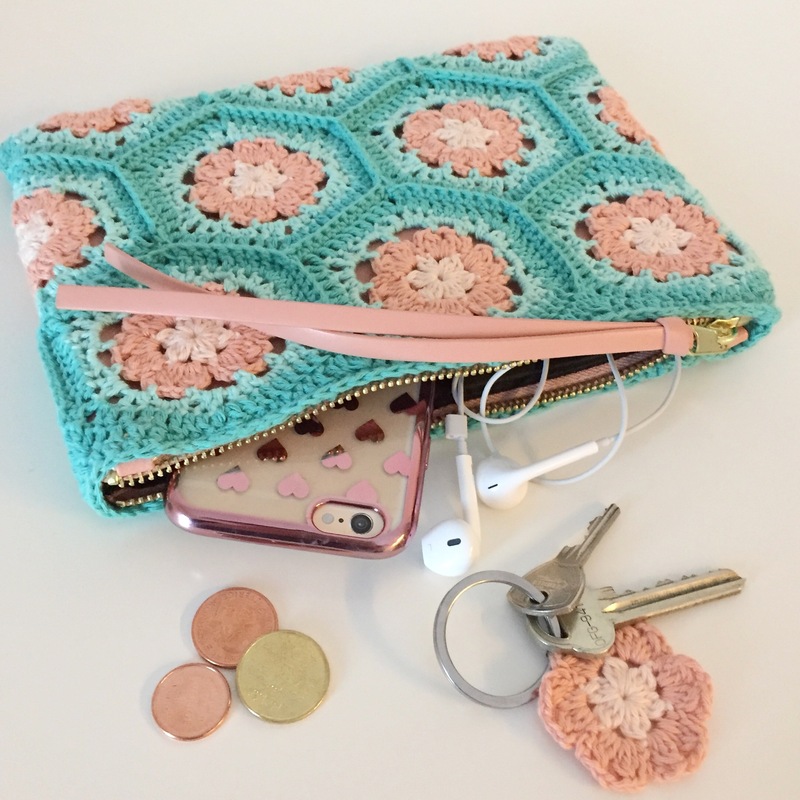 In the beginning of a row a singel crochet is replaced with chain 1 and a double crochet with chain 2. Finish all rows with a slip stitch in the first stitch of the row, if nothing else is specified. I have chosen to change the color after each row, except between row three and four. Begin with: ch4, 1sl st in the first chain to form a ring. 2: Start in any of the chain space. ch2+2dc tog, ch2+3dc tog around that first ch sp. ch3+1sl st+ch3 in the top of the CL. 3: Start in the top of a left cluster, as in addition with the right represent a flower petal. ch1. *ch4+1sc in next CL. ch3+1sc in next CL. ch4+1sc in next CL. (ch3+1sc in the next CL)x3*. Repeat from * to * two times. The last singel crochet is replaced with one slip stitch in the first chain of the row. Continue with the same yarn. 4: 1sl st around the ch sp. 2dc+2hdc around the same ch sp. 3sc around the next ch sp. 2hdc+2dc+ch1 around the last ch sp. 5: Start in optional corner. 3: Start in the top of a left cluster, as in addition with the right represents a flower petal. Now just make some more squares. And of course, the most fun of everything, attach all the ends. If you have any questions about the pattern just leave a comment here, on Instagram or on Facebook. You´ll find me there under the same name, Pysselofix. If you post a picture of something you´ve made from any of my pattern I like you to tell who the designer is and link back to the pattern. Please tag me in the pictures so I can see the results, I´d love it.